The Belgian artist Lili DUJOURIE rose to prominence in the late 1960s, emerging as a key force in the Feminist avant-garde movement of the time. Dujourie’s exhibition Ballade: Night Thoughts on Life, Death & Immortality at Richard Saltoun Gallery – her first show with the gallery and her first exhibition in London in over twenty years – focuses on her relationship with nature, specifically the poetry and art it evokes. 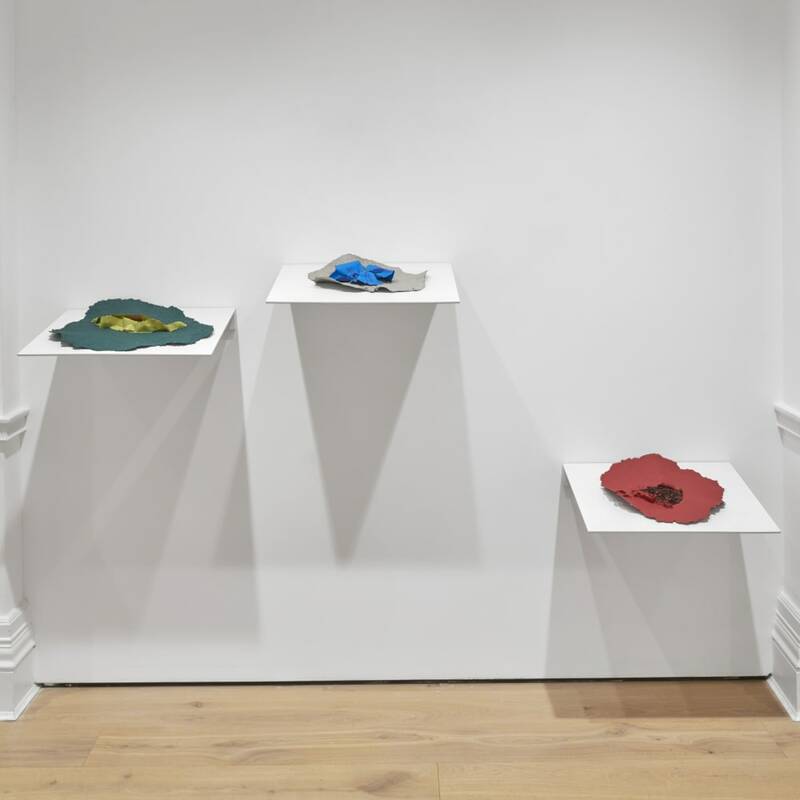 Drawing parallels with Edward Young’s poem of the same name, the exhibition features sculptures made from clay, the essence of the earth, as well as a recent series of papier-mâché sculptures that explore the artist’s long-standing interest in plants and their healing properties.